Al termine del corso, sarà (opzionalmente) possibile conseguire in sede la certificazione 98-368. 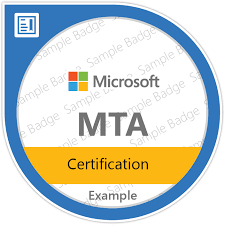 The Microsoft Technology Associate (MTA) is Microsoft’s newest suite of technology certification exams that validate fundamental knowledge needed to begin building a career using Microsoft technologies. This program provides an appropriate entry point to a future career in technology and assumes some hands-on experience or training but does not assume on-the-job experience..